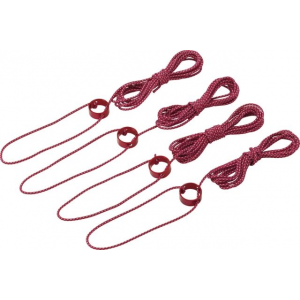 The MSR Hubba Hubba NX is one of the most popular MSR models. Many MSR tents have been rated highly for backpacking and hiking, making MSR a very popular tent brand with a good reputation. When planning backpacking and camping adventures, shelter is one of the most important components to consider. MSR Tents (Mountain Safety Research) are supplied by Cascade Designs, and have become a major leader for some of the best outdoor gear. Cascade Designs began 35 years ago with the idea of providing gear for more comfortable camping adventures. Today, they are the parent company of several outdoor gear brands including Therma-A-Rest, Seal Line, Platypus, Tracks, and MSR. MSR Tents are high end tents and have several unique lines. Below you’ll find a table summarizing some of the most popular models. Following the table read on to see more detailed reviews of the MSR Hubba Hubba, Skinny One, and Fury. The MSR Hubba Hubba NX is a beloved two man model. The Hubba is one of the lines of MSR Tents. It is a 3 season tent that is lightweight, weighing in at 3 pounds 7 ounces making it ideal for backpacking. It has plenty of sleeping space, a vestibule that offers over 9 feet of storage and is easy to set up and take down, has lots of sleeping room and offers substantial protection from rain and wind. 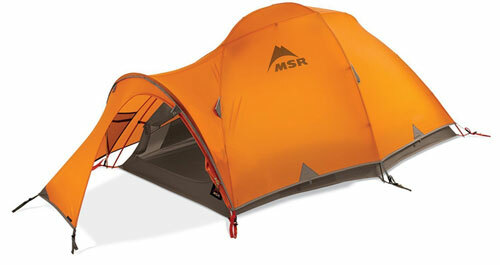 This MSR Tent sells for around $279.00. For those who like to do their backpacking with friends there is also the 2 man Hubba Hubba and the 3 man Mutha Hubba which while designed along the lines of the Hubba MSR Tent has more sleeping space to accommodate the greater number of people, two large doors and 14 square foot vestibules for storage. Oddly enough customers who have actually purchased any of the Hubba tents had few negative things to say about any of these tents. One person did mention that the tent hooks in the hubba were too small for the stake holders. What most reviews did say about this line of tents was that they held up exceptionally well in both wind and rain and that they were exceptionally good 3 season tents worth their expensive price tags. The Fury is a 4 season 2 person expedition MSR Tent. It has a large internal living space, a hooped vestibule, high/low venting, bomber pole system, lots of guy lines to keep the tent in place and is made of durable materials. Unlike the other MSR Tents that seemed to get overwhelming customer reviews the Fury reviews were somewhat mixed. Although overall the reviews were good there were some disappointments in this tent especially considering it’s $500.00 dollar price tag. While most of the people who actually bought and used this tent commented on it’s durability most also complained that this tent was extremely difficult to set up even under ideal conditions. 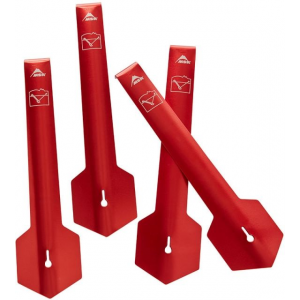 There do not seem to be enough stakes to hold both the tent and the rain fly and one reviewer clearly stated that the stakes were untrustworthy in soft snow. Considering the price of this tent and the difficulty with set up and the insufficient amount of stakes one might want to carefully think before purchasing this MSR Tent. Great for extended solo adventures when weight is of major importance, the Skinny One tent is built with a simple, single walled, hoop design, with an easy to set up design. The all important ventilation that’s critical for a single wall tent is supported with an overhead, end to end vent, and big rear window. A roomy vestibule provides weatherproof protection in most conditions without having to keep the door fully closed. This lightweight, 3 season, single wall, solo MSR tent weighs not much over 3 lbs and provides over 36.5 cubic feet of shelter, 15 square feet of floor, for protection from the elements. All tent buyers agree the Skinny one is simple to set up even though its not free standing. 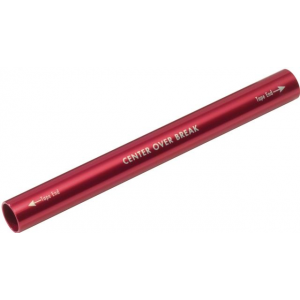 With the hooped ends feature and quick fast clip, supporting the ease of setting up. There has been consumer reports about condensation collection on the inside walls, although buyers tend to agree its a small amount for a single skinned tent. With its grand features, including Aluminium DAC NSL poles for $200, its hard to expect more from a backpacking tent.